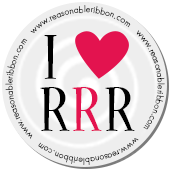 Really Reasonable Ribbon Blog: RRR November Blog Hop Winner! The question of the month was about cookies - one of my favorite things! I'm so happy to see how many of you make your own holiday cookies and for most, it's a holiday tradition. I love this! I'm a long time cookie maker and it wouldn't be Christmas without homemade cookies! Now, on to our winner who will receive the November Ribbon Club Assortment from Really Reasonable Ribbon.